Sri Lanka sits off the south coast of India, and is a fantastic tropical getaway for any type of traveller. 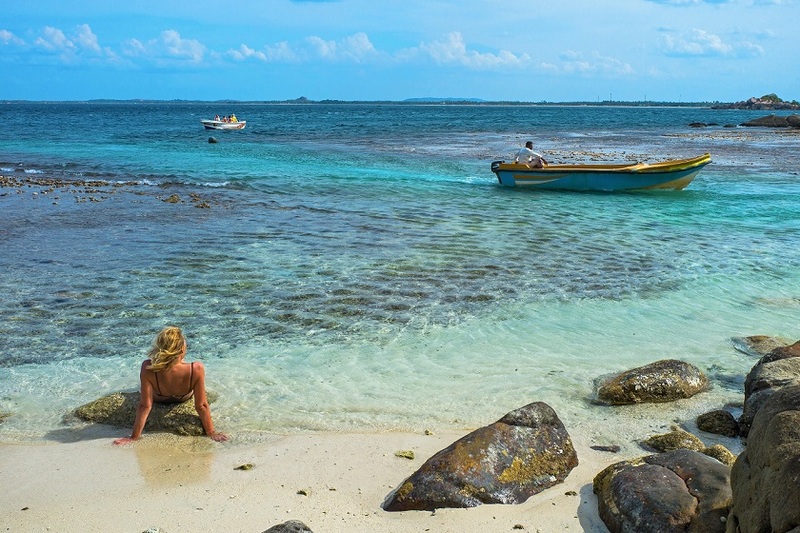 With all there is on offer, Sri Lanka is becoming a popular destination for Australians. Sri Lanka is often favoured as an alternative to India, as it is smaller, safer and less confronting. Women can travel alone, but it is a conservative culture and you may be judged on your dress style. 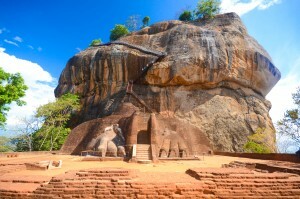 Sri Lanka is rich in archaeological, cultural and natural treasures. Lose yourself in the peace of the World Heritage sites and ancient relics is compelling. Colombo is the capital and primary commercial hub of Sri Lanka, famous colonial architecture left from the days of Dutch and British rule. Head to the Pettah, Colombo’s colourful, chaotic bazaar district, for a slice of daily life in Sri Lanka. From Colombo, head north to the Dambulla Cave Temple. 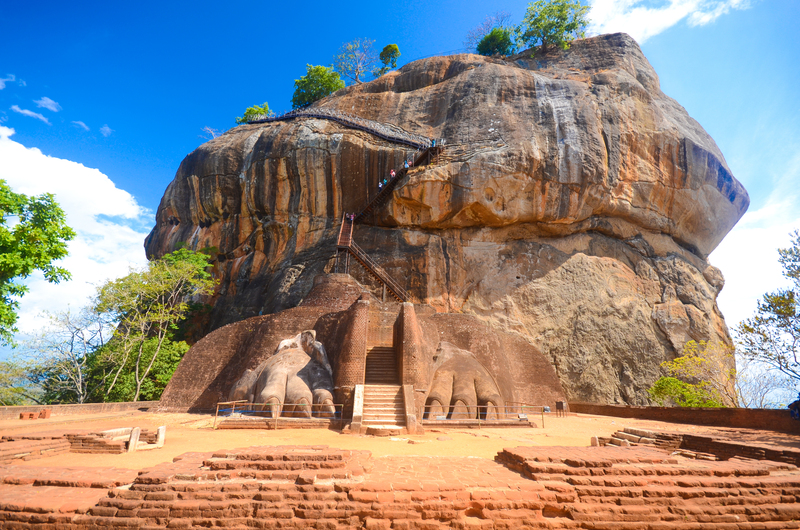 The temples date back to the first century BC and is the largest and best preserved cave temple in Sri Lanka. Five cave temples sit within an 80 cave complex, home to over 200 square metres of murals and statues of Buddha, the largest standing at 14 metres. North of Dambulla is Sigiriya Rock Fortress, Sri Lanka’s most famous tourist attraction and a UNESCO World Heritage site. Sigiriya is the 200 metre high site of the rock citadel of King Kasyapa, dating back to the 5th Century. Amazingly, the bright colours and details of the incredible frescoes are still visible today. If you are planning to walk all the way to the top, avoid the heat by doing it in the early morning. Local tour guides are available, but be sure to agree on a local rate before you begin. 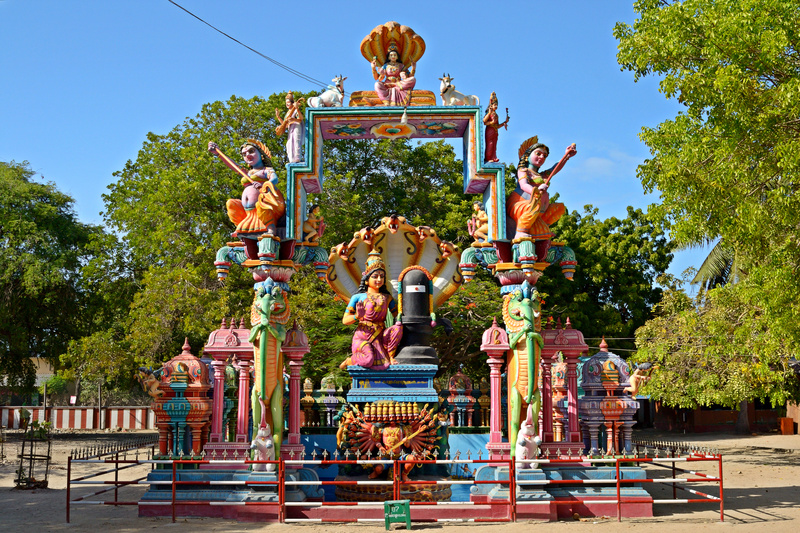 Jaffna, an ancient port city often missed by tourists sits on the northern coast. Settled by Tamil migrants from Southern India, it remains one of the busiest cities in Sri Lanka. The atmosphere here is different from the south. 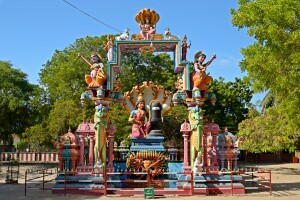 Despite similar Dutch influences, the Tamil influences are very evident in the character and culture of Jaffna. If you are looking to get out of the city, the Jaffna Peninsula and islands offer a string of remote temples, beaches and more. 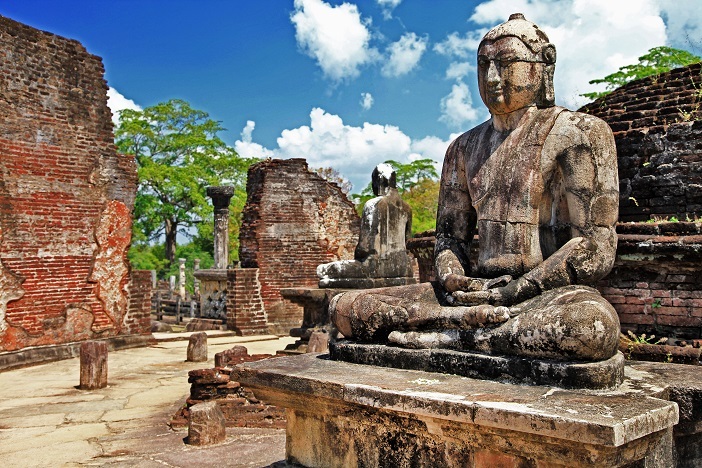 Anuradhapura was Sri Lanka’s third capital, flourishing for over 1,000 years before being abandoned in 993. It is one of the oldest inhabited cities in the world and is now protected by UNESCO. It is home to the Sacred Bo-Tree, a sapling taken from the tree under which Siddharta attained enlightenment and bought to Sri Lanka. This spiritual landmark is over 2,200 years old and the oldest documented tree in the world. 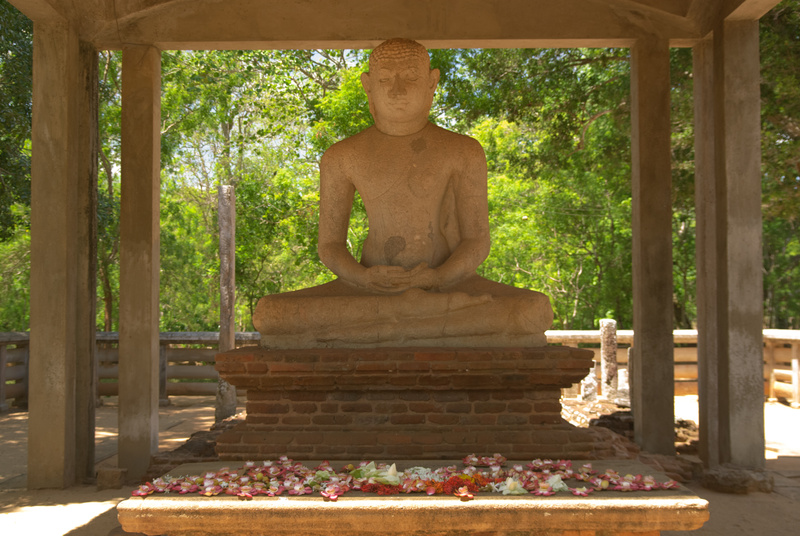 See the Samadhi Buddha statue, dating back to the 3rd or 4th century. Made from dolomite marble, the face on the statue changes. Depending where you stand, you will see happy and sad features, while the face is neutral when you stand straight on. 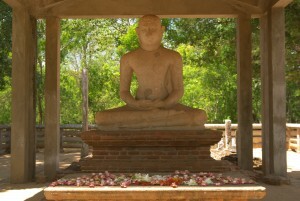 Polonnaruwa, sits on the banks of the Sea of King Parakrama, a massive reservoir built in the early 12th Century. The ruins of the royal palace and grounds are still a big attraction to the UNESCO World Heritage Site. The Dalada Maluwa (Quadrangle) is home to the Terrace of the Tooth Relic and many other sacred sites. As you enter, you will see the statues of man, crow and dog, a warning to act with respect, lest you be reincarnated as a dog or crow. Four Buddha face the cardinal directions, while statues of gods and kings at the door protect the Buddha and the Tooth Relic. There are so many other amazing and interesting places here. The Gal Viharaya showcases three incredible stone statues of Buddha; the Audience Hall is famous for the ornamental elephants; and much more. Don’t miss the Lotus Bath, a beautiful stone bath with tiers of ascending lotus petals. The baths are small, but the gardens make this a nice place to get away from the busy tourist sites. Polonnaruwa is a great base to head into the Minneriya and Kaudalla national parks, where you can spot Sri Lanka’s legendary elephants. Minneriya plays host to the famous elephant “Gathering” around August. Lush green grass grows around the reservoir between July and November, and hundreds of elephants make their way to bathe, mate, socialise and feed. A link between the parks allows the animals to move between them freely. The central highlands of Sri Lanka are in stark contrast to the flat coastal areas. Hilly, cool climate and very green, the Central Highlands made UNESCO World Heritage status in 2010. 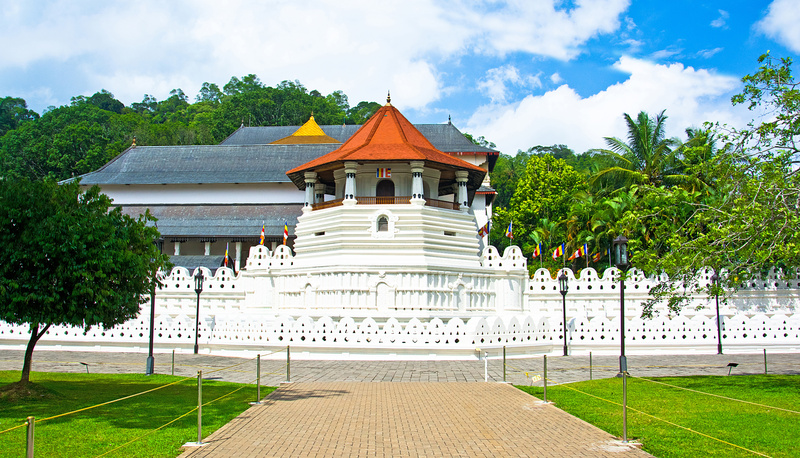 Beautifully situated amidst the central highlands, the historic city of Kandy is a UNESCO World Heritage Site. Kandy remains the island’s most important archive of traditional Sinhalese culture and the home of the Sacred Tooth Relic. Kandy was the capital of the Sri Lankan kings before British settlement in 1815. This historic glory is evident in the architecture, famous for rich heritage and splendour. A highlight on Kandy’s calendar is the Esala Perahera festival, celebrated over ten days in July or August. Dancers, jugglers, fire-breathers, acrobats and lavishly decorated elephants present a vast array of entertainment to festival goers. Take a day trip from Kandy to the Pinnawala Elephant Orphanage. Established in 1975, the Elephant Orphanage cares for and protects orphaned elephants found in the jungle. Bottle feed elephants under three years old, and sit in the high banks of the river and watch as the elephants bathe and play. Nuwara Eliya is the highest city in Sri Lanka (1890m), and has an obvious British influence. Nuwara Eliya is a popular holiday destination for locals and tourists, with incredible scenery, tea plantations, botanical gardens and even golf. The lands through the Peak Wilderness Protected Area, the Horton Plains National Park and the Knuckles Conservation Forest reach up to 2500m, showcasing incredible variety of flora and fauna, including many endangered species. These areas include the largest and least disturbed remaining areas of Sri Lanka’s rainforests. While not all areas are open to tourists, there are a few companies that run day tours through the forests. The endangered Sri Lankan leopard resides here, but you will be very lucky to see one. Instead, enjoy nature, noticing the small lizards, birds, flowers and plants. A guide may provide an opportunity for commentary, but it is not essential. Horton Plains is home to the famous World’s End – a sheer abyss that makes for one of Sri Lanka’s most photographed spots. 80kms in the distance, you can just make out the ocean, shimmering against the horizon. You will have to be early for this one though – after about 9am a thick mist sets in. 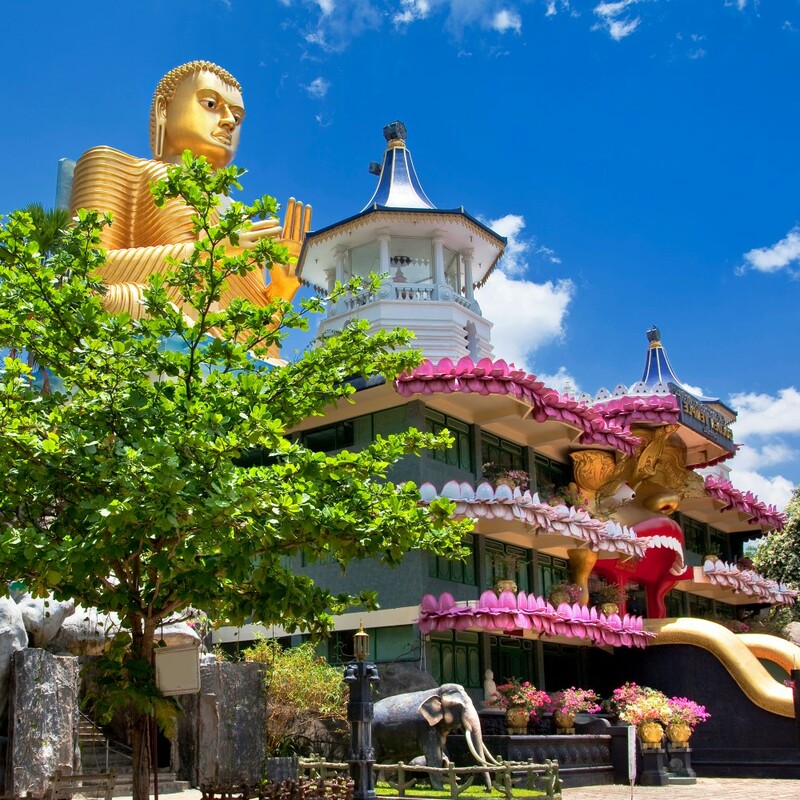 If you are feeling really adventurous, climb Adam’s Peak and revere in the glorious views from the top of Sri Lanka’s foremost pilgrimage site. There is a foot-print shaped mark at the summit, which Buddhists believe has been left by the Buddha. In Islamic and Christian faith, it is maintained that this is the footprint left by Adam when first coming from heaven. On Sri Lanka’s tranquil south coast, waves crash against white sand beaches, fringed with palm trees. The south coast stretches from Galle in the west to Tissamaharama in the east. Life here is about coconut farming, cultivating rice and stilt-fishing. 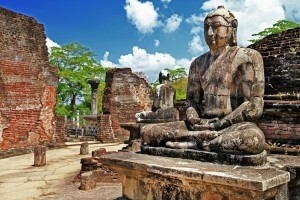 Dotted along the coast are temples and giant statues of Buddha, a visually spectacular reminder of the Sinhalese culture. Go diving or snorkelling in Hikkaduwa, Sri Lanka’s original hippie hangout. 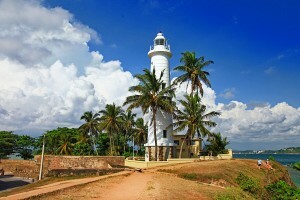 Galle is the capital of the Sri Lankan Southern Province. With colonial architecture set against a tropical coastal town, Galle boasts a rare energy. You will find many of the untouched buildings and relics from the Dutch and Portuguese eras. Galle Fort is a UNESCO World Heritage site and Sri Lanka’s most visited tourist attraction. Surrounded on three sides by ocean, the fort is now home to boutique shops, cafes and hotels, local art, and culture. The east coast of Sri Lanka is still largely untouched by tourists, and boasts white sandy beaches, schools of dolphins, whales and one of the best surfing zones in the world, Arugam Bay. You will also find activities such as wind-surfing, water-skiing, wake-boarding, jet-skiing and kite-boarding, making this a perfect getaway for those who love beach holidays. Trincomalee is a fascinating town with a war-torn history, and it is well worth spending a day strolling around taking in the laid-back vibe of the town with its blend of faded colonial charm, colourful Hindu temples and beautiful coastal scenery. Also on the east coast is the Yala National Park, home to an incredible bio-diverse environment and the world’s largest population of leopards. At this park you can expect to see wild elephants, wild boars, wild buffaloes, leopards, bears, deer and crocodiles. This is also a popular area for bird migration. Sri Lanka is one of Asia’s classic bird-watching destinations, with species ranging from delicate bee-eaters and blue magpies to colourful kingfishers and majestic hornbills. Click here to read about our Wildlife & Cultural Highlights of Sri Lanka tour, departing February 2018!